So you have decided to start your own DSA Troop… TERRIFIC! We are excited about your decision, and will be here for you every step of the way. any time with questions or concerns, and even troop updates. Please download and read all of the following documentation. It will explain everything from how to apply for a Troop Number to the optional status of a Non-Profit Subgroup. It should answer all your questions… but if not, our troops coordinators will help you out – just ask! 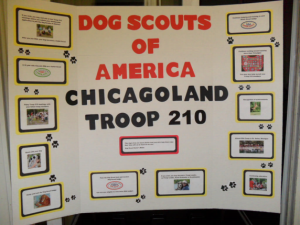 Once you get your Troop started and everything is in place, you can visit the Running a Troop page for more tips and information! Is Troop Leadership for You? Once an evaluator has completed a total of 5 badge evaluations (for any badge), they are eligible for $5 compensation per badge on future evaluations that are not new to that evaluator. They will also be sent an evaluator bag at the end of the year when all the totals are calculated. The first evaluation for a badge new to that evaluator would not be eligible for the evaluator fee. But when the second evaluation for that same badge is completed (signed badge form submitted), they can start earning $5 per badge form and get the patch for that badge to add to their bag (sent at the end of the year). Evaluators still need to be current DSA members to receive compensation and to sign badge forms.